540 2-Stroke Engine: The value-focused 540cc, 2-Stroke, fan-cooled carbureted engine is powerful, durable and efficient. The Hi/Low transmission allows you to get all the low-end power possible for those bigger jobs. 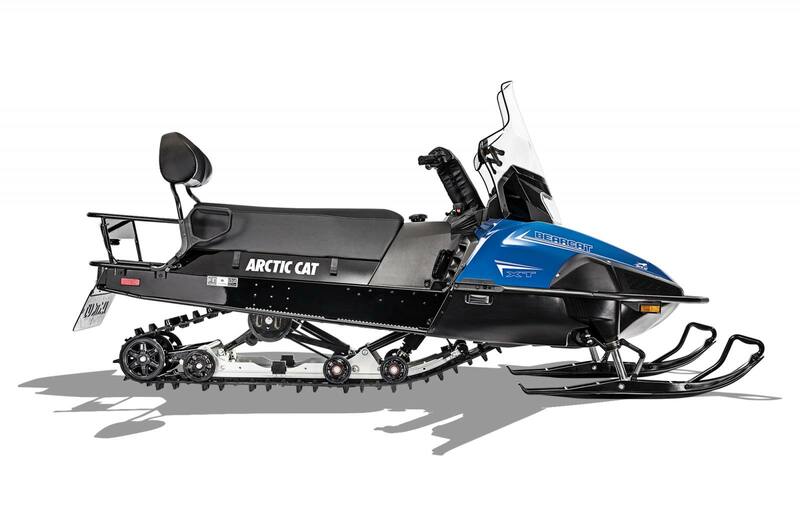 Bearcat Xt Front Suspension: The TSS front suspension puts you in control with hydraulic gas cell shocks to soak up the largest of bumps. 18" High-Height Windshield With Mirrors: The extra-high windshield tames the wind out in the great white open, while the mirrors make backing up easy as ever. 20 in. (50.08 cm) x 156 in.